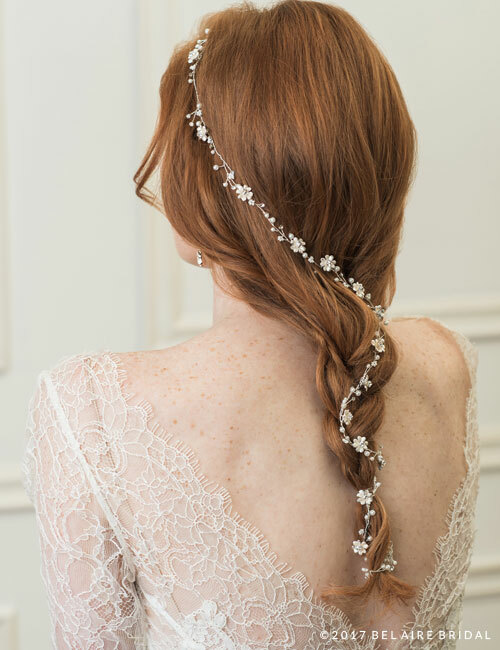 Weave a shimmering hair vine through your tresses. Tiny metallic flowers with miniature rhinestones and faux pearls create an elegant look. This design may be woven through a braid or wrapped around hair.